What do a former monk, a game developer and a self-confessed ‘tech geek’ have in common? They’re all speakers at IMEX in Frankfurt, taking place 21 – 23 May. There are over 250 complimentary learning sessions in both English and German taking place throughout the three days of the show plus EduMonday, an afternoon dedicated to personal development, taking place the day before the IMEX show begins. The importance of mindfulness in talent management will be explored by Jan Esswein, one-time monk and now Germany’s most widely-read author on the subject of mindfulness. His session The mindfulness code: four improvements for a new quality of work will share tips on using mindfulness to improve employee communication, collaboration and creativity. 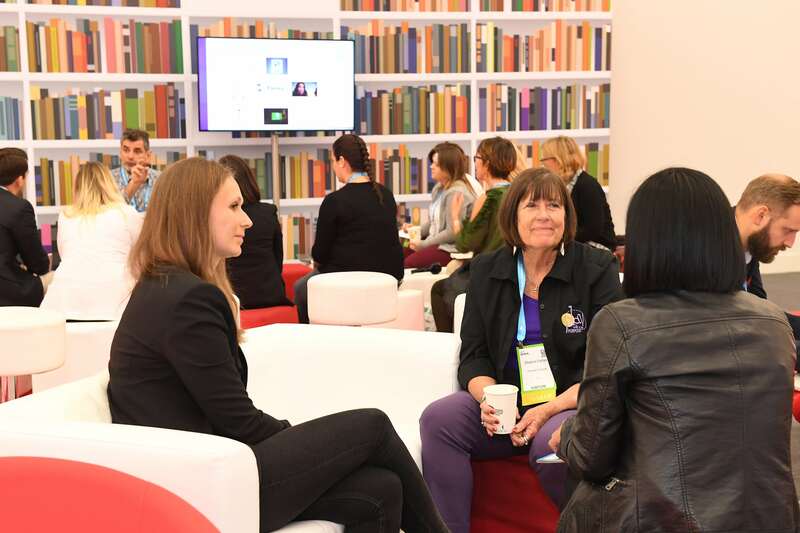 With diversity and inclusion being such a hot topic across both the events sector and worldwide, it forms an integral part of many learning sessions at IMEX in Frankfurt this year. For example, experts from the Association of Destination Management Executives International will explore Cultural differences and their impact on destination management, digging into cultural nuances as well as wider global traits. Similarly, executive coach Melissa Lamson will pass on the best practice and communication models she has shared with global heavyweights including 3M, LinkedIn, SAP, and Siemens in her session Industry best practices on how to be an inclusive leader. The role of events in supporting universal design, diversity and inclusion will be championed by the Events Industry Council in Redesigning inclusive events by overcoming unconscious bias – where planners can uncover their unconscious bias and learn practical ways of designing events to be more welcoming for all. Emotional engagement in event design is explored by experts including James Morgan, Founder of Event Tech Lab. Morgan will discuss the role and importance of activating emotions through good event design in his session Emotional triggers, attendee participation and positive memories. Separately, research by Cvent will help planners to get Inside the mind of the event attendee, with data detailing not only the differences each region faces, but also the differences in generational needs and some unexpected networking traits. Also new for this year is the Red Lab where experts from outside the events sector will deliver fresh perspectives. Sigurd Ringstad, business developer from game-based learning platform Kahoot, joins facilitator Majbritt Sandberg to share the benefits of social learning to boost teamwork and innovation in Social learning: Connect. Share. Learn. Another session likely to draw a big audience will focus on taking a collaborative approach to sustainability. Collaboration lies firmly at the heart of What a waste! Finding solutions for world problems using co-creation – a session delivered by Laure Berment from Too Good To Go, the world’s number one app for fighting food waste. Technology – and how to deal with information overload – will top the agenda in Meet the geeks – technology trends to enhance your skills in the 21st century where self-confessed ‘tech geeks’ and founders of Canvas Planner will show planners how to benefit from today’s innovations. They’ll also share wisdom on how to use technology to create a healthy work-life balance. As usual IMEX is offering all attendees FREE education sessions designed across 10 tracks, including business skills, creative learning, research and trends, sustainability and health and wellbeing – all delving into the current issues and challenges faced by planners. Finally, attendees can also learn about the latest in technology and experiential concepts at the show’s new Discovery Zone. This specially curated area will be packed with education and experiences to fire up the imagination of event planners and exhibitors alike, helping them question the conventional and be inspired to explore new approaches.